If you'd like to see the full story, with more pictures, head over to IKEA Family Live! (And to address the single most popular question streaming in response to the story so far: no no, my apartment is certainly not always that clean.) Happy weekend, all. 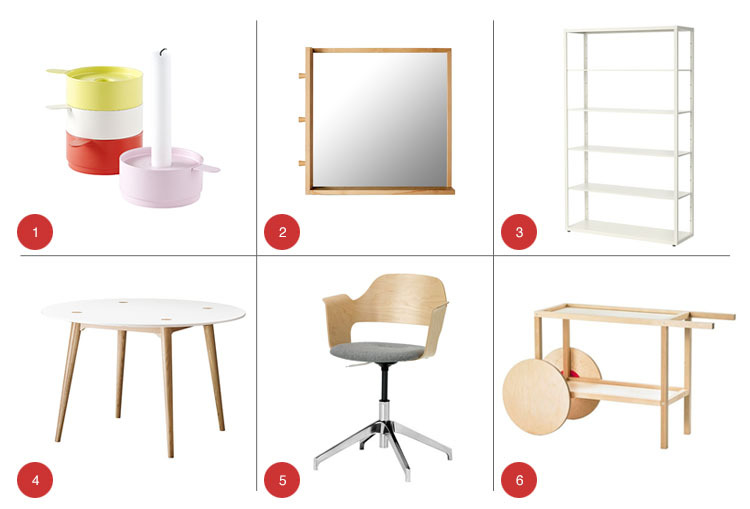 Continuing with my Ikea kick this week, I'm rounding up the best ways to customize your KARLSTAD, BESTA, AKURUM...you name it! The handy have long embraced the DIY opportunities presented by Ikea's modular, flat-pack approach. But many of the best Ikea hacks require access to power tools, a certain level of know-how, and-- most importantly-- enthusiasm for messy and physically demanding projects. For example, Jenny Komenda's recent PAX hack for Domino Magazine-- total knock-out transformation, but fairly involved for the average adult. If you're not quite as DIY savvy as Jenny (and how many of us are? ), there are a lot of "plug-and-play" customization options out there. The big caveat, as always with Ikea, is that not all are available in the US. And those that are often come with heavy duties tacked on. But notwithstanding the geographical limitations, I think it's just brilliant that a whole cottage industry is developing around Ikea customization! + BEMZ | Swedish company Bemz sells slipcovers for Ikea products. The website is designed so that you can search for your product by name and then preview their multitude of fabric options. 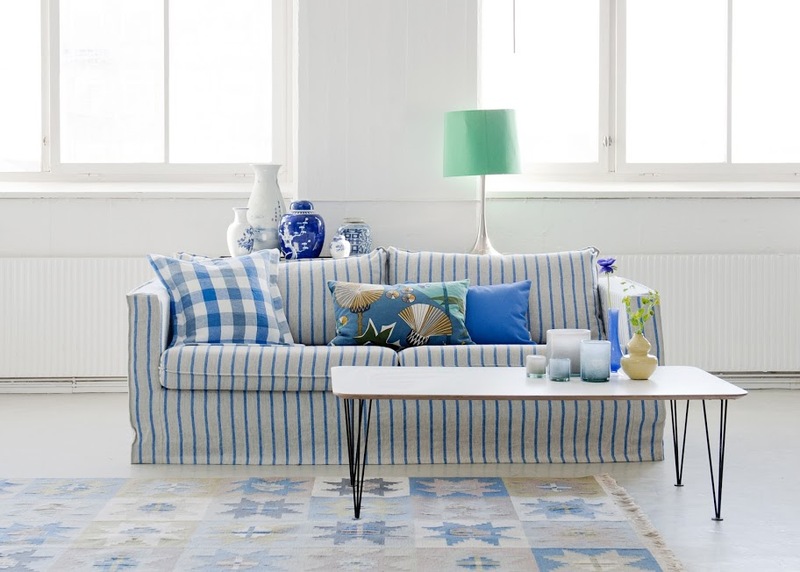 Most Ikea textiles are synthetic, so an upgrade to a high-quality cotton or linen (or velvet!) can go a long way towards increasing comfort and longevity. If you like a more relaxed look, their line of "loose fit" slipcovers is very pretty. Another bonus is the range of premium textiles by major scandinavian designers, including Stig Lindberg, Göta Trägårdh, Stellan Mörner (#1 above) , Marimekko (#6 above) and more! Note: Bemz does ship to the US, but be prepared to pay double once you factor in duties. Add an item to your shopping cart (with your shipping address entered) for the real cost. As an alternative, Georgia-based Knesting offers slipcovers for Ikea furniture, but their offerings are much more limited. + SUPEFRONT | Superfront (also Swedish) is geared towards customizing cabinetry, like kitchen cabinets, PAX wardrobes and BESTA sideboards. The main draw, as the name suggests, is their array of "fronts" (in vibrant lacquers and mod patterns), but it's a soup-to-nuts operation-- fronts, hardware and legs...even marble and limestone tops for sideboards. They have some beautiful door handles, but keep in mind that because Ikea requires you to drill holes for their door fronts, you can use any handles you please. There's no such thing as "Ikea-specific" handles. Note: Superfront does not yet ship to the US, but they recently expanded their shipping range to other Northern European countries, so fingers crossed that we'll be next! + PRETTY PEGS | Pretty Pegs makes solid and patterned legs for Ikea furniture, in all sorts of swanky shapes. These are about as plug-and-play as you get. If you're looking for maximum impact with minimum effort, Pretty Pegs is your ticket. All you have to do is screw them in. Swapping out the legs is one of my go-to tricks for Ikea sofas and chairs. If Pretty Pegs is out of your budget and you have a little DIY pep in you, you can buy replacement legs at Home Depot or Tablelegs.com. Just make sure they come with a hanger bolt installed. (You have to pay extra for this at tablelegs.com. They come standard with most Home Depot feet.) Also know that they'll require sanding and finishing/painting, unless the raw wood look is what you're going for. Note: Free shipping worldwide! Hooray! 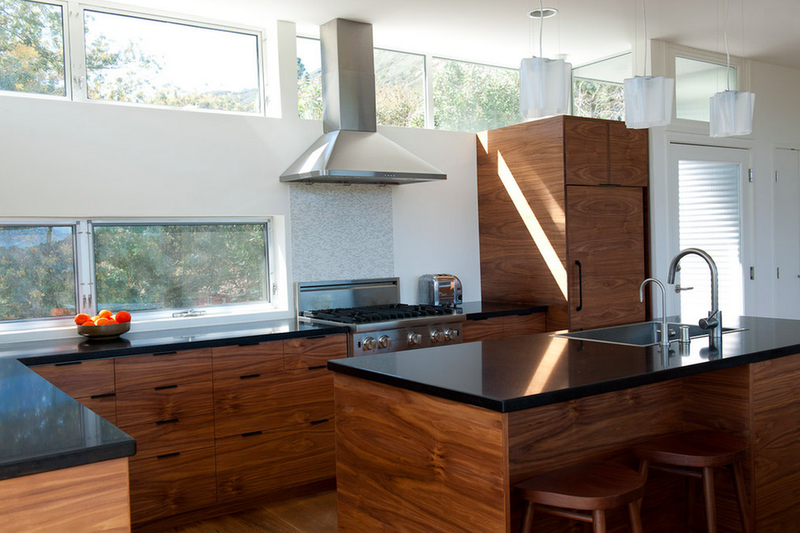 + SEMI-HANDMADE DOORS | Semi-Handmade Doors is a California-based woodshop that makes kitchen cabinet fronts for Ikea cabinets. If you're looking for a wood-veneer finish that looks custom (without a custom price-tag), I strongly recommend checking out Semi-Handmade. They do everything from laminate to exotic and reclaimed woods. I also like that they're committed to working with you on all elements of your kitchen. For example, if you need an integrated appliance panel to match your ikea fronts, you can provide Semi-Handmade with the specs. If you're looking for lacquered shaker or flat-front cabinets, they'll ship you the unfinished fronts to have sprayed locally. I have Ikea kitchen cabinets in my apartment (and I've worked with them in clients' apartments) and I cannot recommend them highly enough. The soft-close mechanism works like a dream. But the standard front options do scream Ikea-- even if I do love me some Abstrakt. 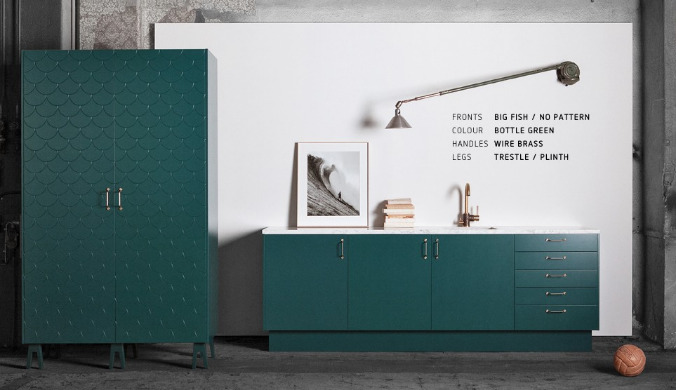 The rise of custom fronts for Ikea cabinetry is a major game-changer in the kitchen design world! Do you know of any other Ikea-oriented companies? Tell me if I missed any! Good news, bad news. 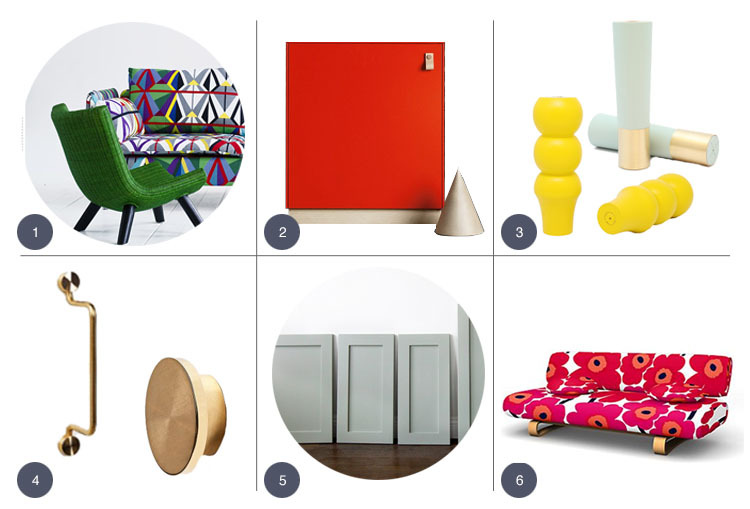 The bad news first: remember when I reported that Ikea's new Brakig Collection was a show-stopper? Well, it turns out the collection won't be made available in North America. My bad! Seriously, I'm sorry about the journalistic oversight. Doesn't she look pretty, all gussied up? One of my favorite bloggers, Daniel of Manhattan Nest just scored a bar cart too. I can't wait to see what he does with it. To make up for any dashed hopes on the Brakig Collection, I scoured Ikea for my favorite new (and new-ish) items. Clearly, I'm gravitating heavily towards white and light tone wood-- but it is, after all, what Ikea does best. I think the secret to satisfaction at Ikea is to embrace their strengths and skip products that are trying to hard to obscure their roots. * Margot just installed one adjacent to her kitchen, to accommodate spillover cookbooks and cookware. It looks amazing! PS I sort of love this fish pillow-- am I crazy?